The female anatomy has been the topic of more than just a few books. Obstetrician/Gynecologists (OB/GYN) have a legal duty to understand a wide variety of women health issues and not perform procedures or give medical advice unless it is done so in accordance with the appropriate medical standard of care. 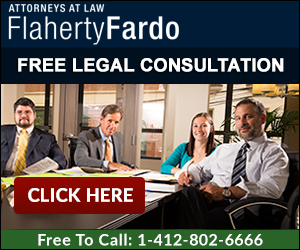 What we, the medical malpractice attorneys at Flaherty Fardo have experienced is that some, and we stress, some OB/GYN doctors do not have the same attention for detail as others. To some doctors, it is simply a ‘job’, and they treat the patients as though they are a number or a ‘means to an end’ rather than a patient. What has surprised us most, is the number of OB/GYNs that will make important health related decisions for women, about their bodies and their health, without letting the patient participate in that very important decision making process. We have tried several cases involving Obstetrician/Gynecologists where women have had enormous medical decisions made without any discussion between the doctor and patient, including most commonly hysterectomies. It is unconscionable that a physician would remove a women’s uterus in a non-emergent situation without a full discussion and consent from the patient first. On the other hand, we have had clients who adore their doctors. More than any other medical specialty, we believe Obstetrician / Gynecologists have the greatest difference or spectrum among their bedside manners. The unfortunate reality is that thousands of women across the United States are injured every year by the medical negligence of their Obstetrician / Gynecologist. As a direct result, these women may experience permanent unreasonable scars, illness, injury or even death. In addition, there are often serious emotional scars. If you have legal questions about a women’s health related matter, let our attorneys and physicians review your case. Our malpractice attorneys have extensive experience in settling cases and in trying cases related to a common procedure known as a D&C (dilation and curettage). D&C is a procedure which involves scrapping the uterus lining and can be used for a variety of purposes, including removal of fibroids, the relief of excessive uterine bleeding and the removal of tissue after a miscarriage. D&C is a common, yet sensitive procedure and many women are injured as a result of it. We have had clients whose uterus and bowel were perforated because the Obstetrician / Gynecologists (OB/GYN) were simply to aggressive and/or rough during the procedure. There are risks to any procedure, and in this, perforations to the uterus and/or bowel are a known risk. However, that does not mean that doctors can avoid their requirement to uphold the appropriate medical standard of care. Our representation for OB/GYN (obstetrician gynecologists) mistakes is based on a contingent fee structure. There is no fee unless we obtain monetary recovery for you or our client.